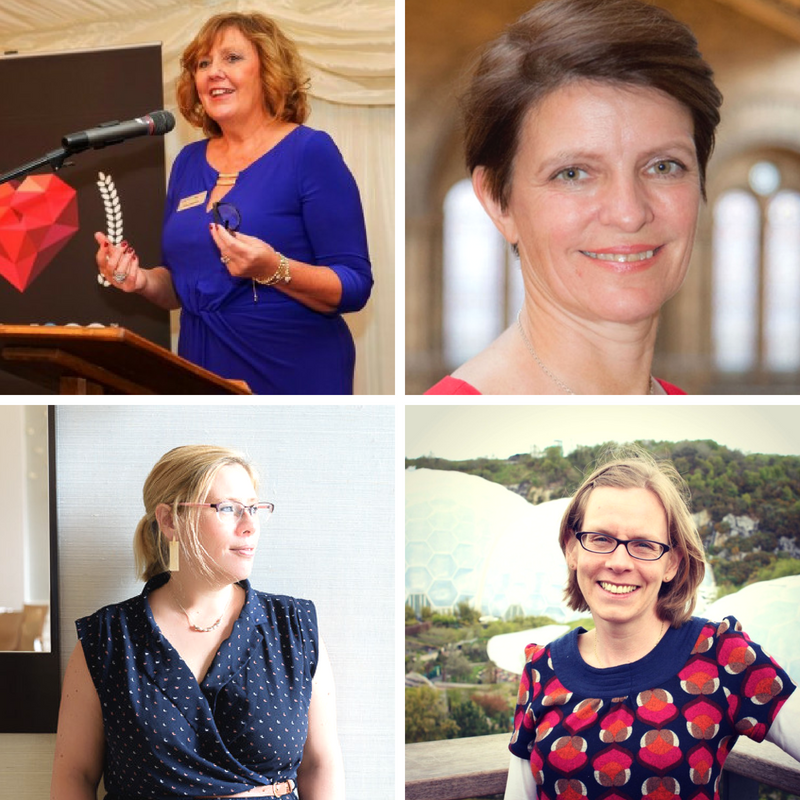 Our brilliant 2018 judges represent a vast pool of knowledge and expertise. Don’t hesitate, enter the Awards, it’s free and so easy to apply. 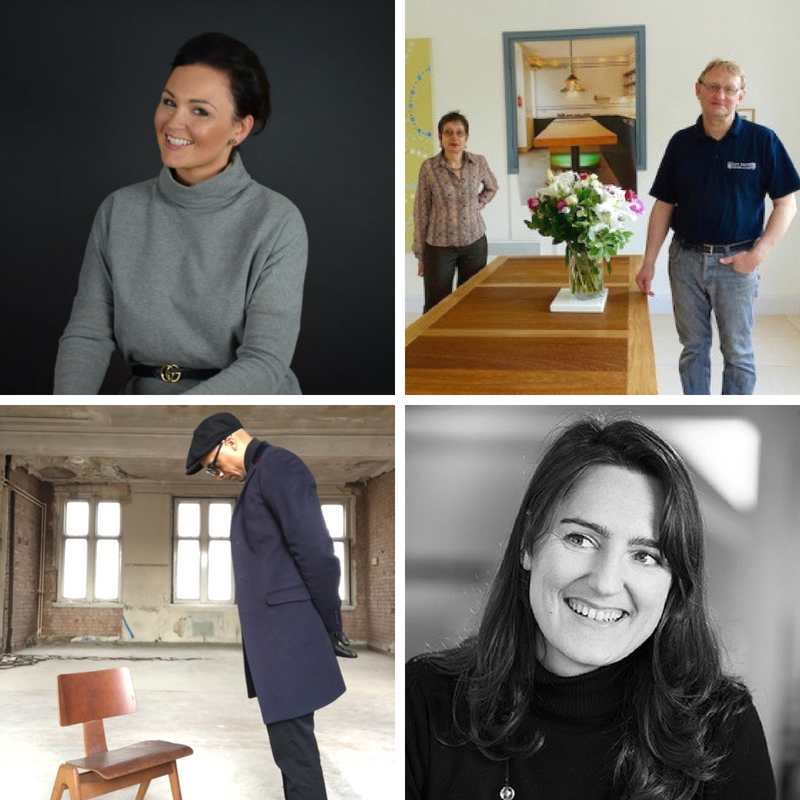 It’s a social network too, everyone is invited to pop in to the presentation at London Design Fair to meet up, celebrate and see some great design, including work by Blue Patch members! Thrive Renewables connects people to sustainable energy and offer accessible opportunities for individuals and businesses to invest in clean energy projects that deliver financial, environmental and social rewards. Matthew has worked in the Thrive Renewables team (formerly Triodos Renewables) since 2006 and undertakes the overall full time management of Thrive Renewables Plc. In this time Matthew has contributed to 15-fold growth in the Company. Thrive are Blue Patch members and Gold Patrons. British artist and designer Anna Jacobs has had a varied career in theatre production, singing, charity fundraising and latterly heading the business development and marketing department of a city law firm for eight years until she finally decided to dedicate herself full time to art and design. Anna studied painting at Camberwell College of Arts and interior design and styling at Chelsea College of Arts and Central St Martins. 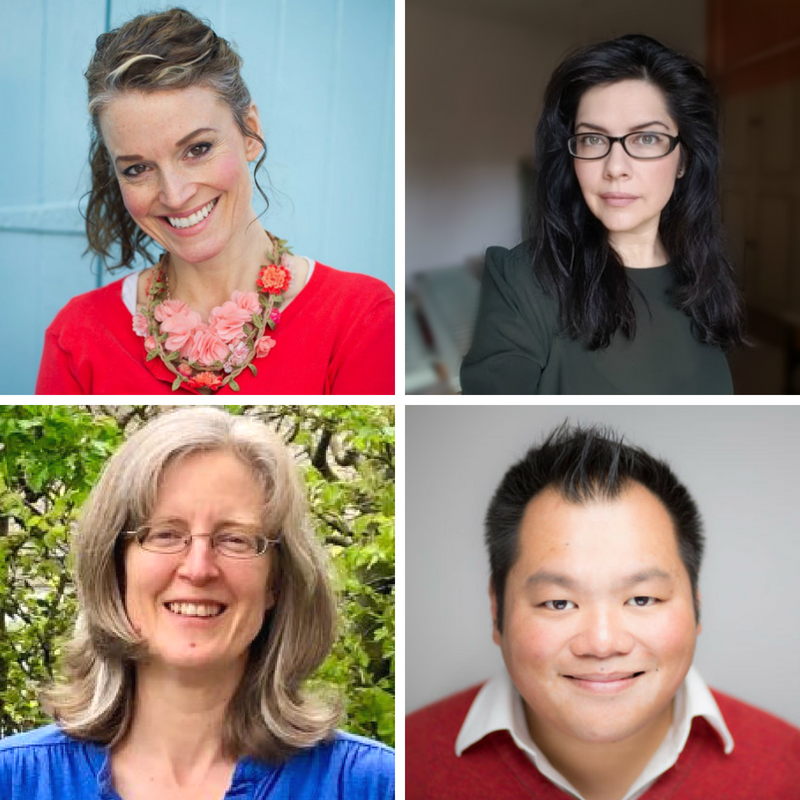 She now teaches Colour Theory and Up-cycling Furniture at Chelsea College of Arts and is a regular speaker on both colour and up-cycling at the Ideal Home Show and Grand Designs Live. In January 2015 Anna launched her first collection of homewares, which have beautiful art at their core, as well as a sense of craft and the hand-made about them. 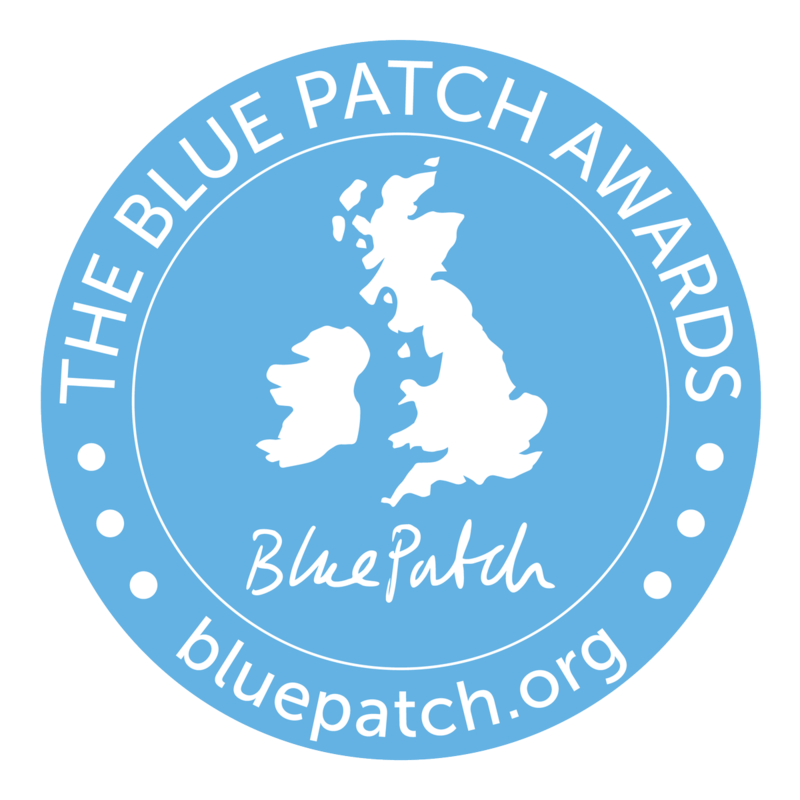 Anna is a member of Blue Patch and winner of The People’s Prize at the Blue Patch Awards 2016. Louree is a SF Bay Area-raised hospitality professional with a Sociology undergraduate degree and a Master’s degree in International Hotel & Tourism Management. She’s come to understand that the travel industry needs some love ‘Living a hospitable life presents the greatest opportunity for us to celebrate our own and others’ lives. That’s why the hospitality industry is so perfectly positioned to positively impact our world’ says Louree. Xenia’s mission is to celebrate the businesses who put their people, the planet, and their communities first. 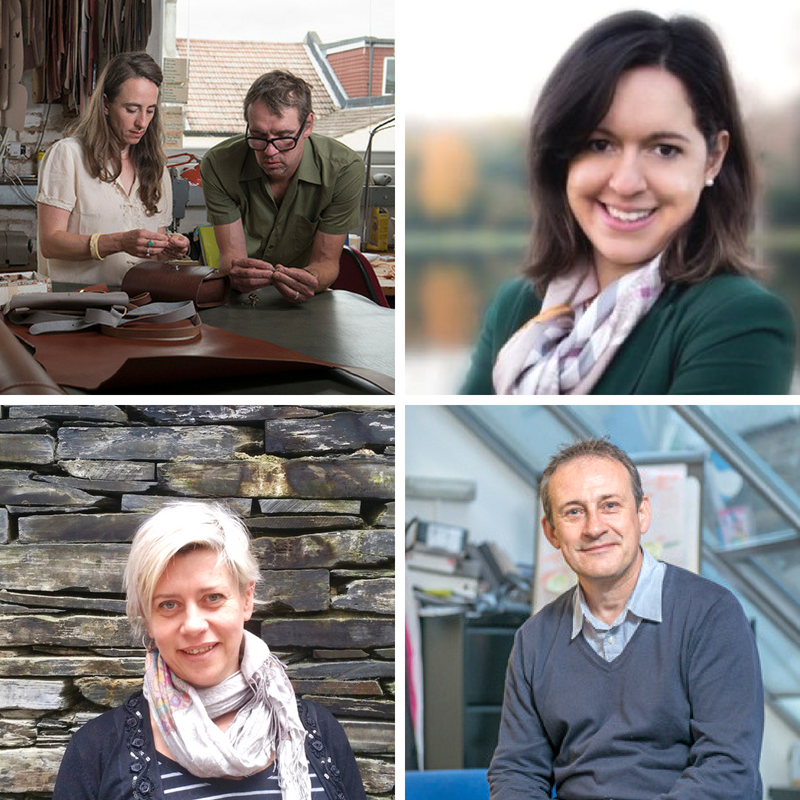 Xenia magazine launches this summer – spot Blue Patch members in the first edition! The Association of Environment Conscious Building (AECB) is a network of professionals including architects, designers, manufacturers, housing associations and local authorities, who develop, share and promote best practice in environmentally sustainable building. Tina has retrofitted her own home to EnerPhit standards and is an expert on domestic energy. Tina is a passionate educator and is instrumental in increasing knowledge of low energy living. Jon is an Innovation Partner at Interface with a focus on sustainability, inclusive business and ‘intrapreneurship’. Following a former career as a city attorney, Jon joined Interface in 2012 having chosen to reapply his skills to tackle the global challenges of marine plastics, inequality and climate change. Jon specialises in the commercialisation of Interface’s sustainability initiatives, such as Climate Take Back. He was a key part of developing Interface and the Zoological Society of London’s (ZSL) NetWorksTM partnership, a community-based supply chain for discarded fishing nets that provides access to finance and seeks to provide long term conservation benefits. Net-Works was awarded the Guardian Sustainable Business Award in 2015 for Collaboration and the 2016 US State Department Award for Corporate Excellence (Sustainable Oceans Management). Jon currently serves on the trustee board of UK environmental charity, Surfers Against Sewage. Wolfram was born in Germany and came to England in 1996 to become a shoemaker. By 1997 he’d worked with various shoemakers and was determined to use his experience to provide more choice for men and to bring longstanding quality to his customers. He went on to create a classic and funky shoe and accessory range. In 2004 Wolfram went into partnership with Sarah Gardner. Bringing old and new together is the basis of their inspiration. With a passion for old craftsmanship in all materials, their personal collection of vintage objects ranges from leather bags to hats to clothing. This directly feeds into their designs as they adapt them into a “Wolfram Löhr” accessory, creating the balance between modern functionality and fashionable flare. Wolfram and Sarah’s workshop is in Hove near Brighton. They are members of Blue Patch. Natalia joined the Advance London team in January 2017. She has previously worked for 8 years as an environmental advisor specialised in sustainable businesses and responsible sourcing in emerging economies. She has assisted businesses in developing sustainability strategies and resource efficient business plans, she’s designed waste collection and delivery plans for municipalities and has analysed and restructured internal processes for organisations and businesses in the retail, packaging, banking, textiles, recycling and sanitary sector. In addition Natalia has managed and implemented programmes for international clients including Philips, IFCO Systems S.A., Textile Enterprises, IBM, the World Bank, the EU, the UNDP, Water.org and the Dutch Ministry of Foreign Affairs. Tammi is one of the founder members of Brighton Permaculture Trust, a former manager of Ragmans Lane Farm and Ex-Chair of Moulsecoomb Forest Garden Wildlife Project. She’s coordinator of the Glastonbury Festival Permaculture Gardens and the Permaculture area at the Green Gathering. Her particular interest is in food sustainability, procurement and security. Founder member of Permaculture Wales (Paramaethu Cymru) Tammi is currently an MSc student on the Sustainable Food and Natural Resources course at the Centre for Alternative Technology as well as their short courses marketing officer. CAT are based in Wales and members of Blue Patch. 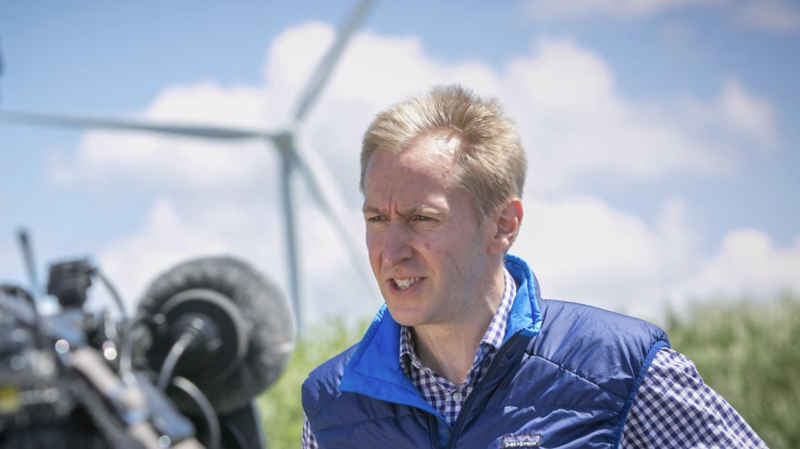 Before joining SSE in April of 2018, Rob was Head of Corporate Projects at idverde UK, the largest green space service provider in Europe where he was a Trustee of the company’s corporate charity Growing a Greener Britain and helped setup The Parks Alliance – a new national not for profit organisation providing a voice for UK parks. Rob’s background in the third sector includes roles as Social Enterprise Manager at global energy company Engie and Deputy Chief Executive at leading social enterprise Renaisi where he remains a Non-executive Director. Rob has also worked extensively in the public sector including as Assistant Chief Executive in a London borough covering regeneration and planning and as Head of Policy and Strategy for a national government agency. The School for Social Entrepreneurs is a member of Blue Patch. The IOEE’s work is informed by research into what other entrepreneurs do and have done in order to be successful. It’s about small business owners helping each other. The IOEE was officially founded in 2010 creating the first dedicated professional learning institute specialising in business enterprise and business support, a standing still enjoyed to this day within the UK. The Institute’s programmes and qualifications are built on the extensive research that underpins the SFEDI® National Occupational Standards and the expertise of the Institute of Enterprise and Entrepreneurs, the UK’s only professional Institute dedicated to enterprise. The IOEE manages Blue Patch members Apprenticemakers . Ian started his career in cabinet-making on graduating from the LSE in Medieval history. After studying at the London College of Furniture and an apprenticeship with a joinery firm in Chalk Farm, he set up Ian Dunn Woodwork and Design in 1981. Having been established in their workshop in Stannary Street, Kennington for 18 years they moved to a larger, more modern workshop in East Dulwich in 2004. The new workshop is fully equipped and they have a have a team of skilled craftsmen working with Ian to produce each commission. The office and design studio located above the workshop are managed by Ian’s wife and business partner, Jacqui Gordon. Ian and Jacqui sponsored the Blue Patch’s pop-up event The UK’s 1st Sustainable Department Store (2016). Ian Dunn Woodwork & Design is a Blue Patch member. The no nonsense furniture up-cycler Jay Blades, former co-founder of award winning social enterprise Out of The Dark, is the nation’s inspiration for transforming dusty old furniture into a work of designer-looking pride and joy. Not only has he been a source of motivation for thousands of young people through the projects he has been delivering to disengaged and disadvantaged young people over the years, he has also been able to become an unlikely hero for dying crafts and restoration. From his his first appearance on TV with Kirstie Allsopp, then with Phill Spencer, Gok Wan and This Morning a few years ago, to now becoming one of our favourite faces on screen, with his input on Money for Nothing and The Repair Shop, Jay inspires us all to rummage through our homes to find a piece of furniture to transform into a work of art. Marion is an architect and partner at PDP London. She is currently in charge of several large high-end residential developments in central London from £120m to £2m. Her passion for sustainability and low energy design lead Marion to take part in Retrofit for the Future and subsequently to the delivery of the award winning Princedale Road project the 1st residential retrofit in the UK to be certified to PassivHaus standard. This experience culminated in her book ‘Residential retrofits, 20 case studies’ ( 2013 RIBA Publishing) featuring some of the best energy retrofit projects in the country. 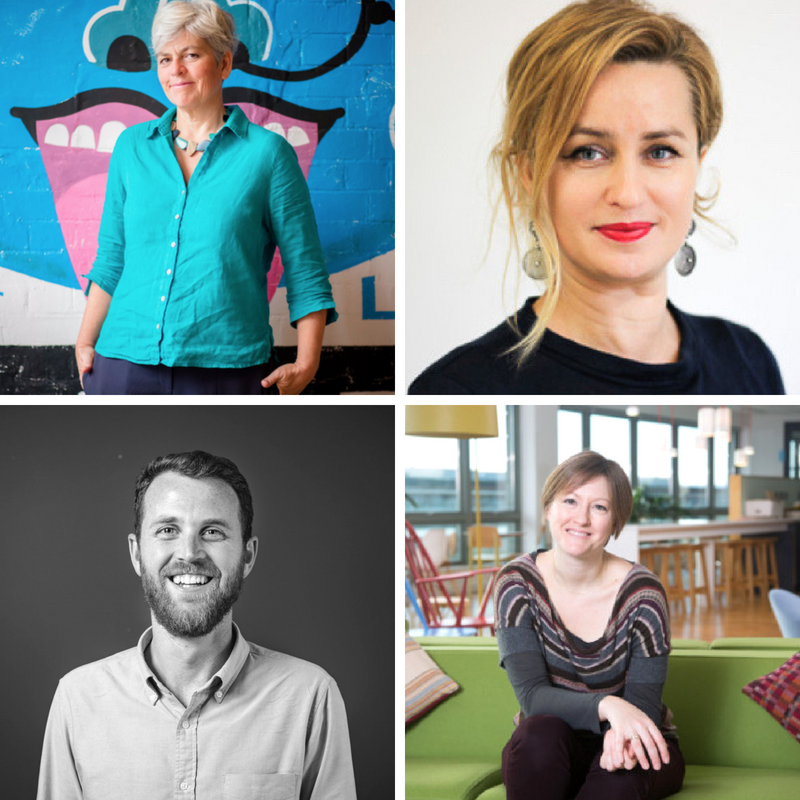 Marion heads the ‘sustainable design group’ at PDP London, sits on the board of directors of the PassivHaus Trust and lectures on energy efficient retrofits in the UK and abroad. Having graduated in law, Marta started her first job at Green Baby Company Ltd in 2005, specialising in fair-trade clothing and toiletries, as a shopping assistant she progressed through her 4 years at the company to become Trade Sales Manager. She went on to work for the School for Social Entrepreneurs, as a PA to the CEO and then Bikeworks CIC. In January 2012 Marta came back to SSE to help coordinate the Lloyds Bank Social Entrepreneurs Programme across its UK schools and has project managed the programme since May 2013. Managing 7 rounds of recruitment, assessing more than 6000 applications and sitting on 100s of Dragon’s Den style events, Marta has a particular interest in finding social enterprise and businesses with ‘ triple bottom line’ creating social or environmental impact and lasting change in the world. In 2016 and 2017 Marta project managed the first SSE Community Business Trade Up programme with Power to Change, providing leadership support to Community Businesses. The School for Social Entrepreneurs is a Blue Patch member. Joe Murphy manages the Ellen MacArthur Foundation’s CE100 business network. In practice this means managing the Foundation’s business relationships and brokering collaboration across the network. Amy’s job is to create and deliver partnerships with likeminded charities and businesses. ‘The bank’s aim is to create a community of people and organisations who recognise the potential of using money for good and I’m really lucky as it’s my role to help to build that community and share what the bank does with our growing audience.’ says Amy, who lives in Bristol and has spent her career helping to support the growth of sustainable business. Triodos Bank is a member of Blue Patch. Kate White and Mark McGinlay have worked in local journalism and book publicity for many years and have lived in south-east London since 2004. 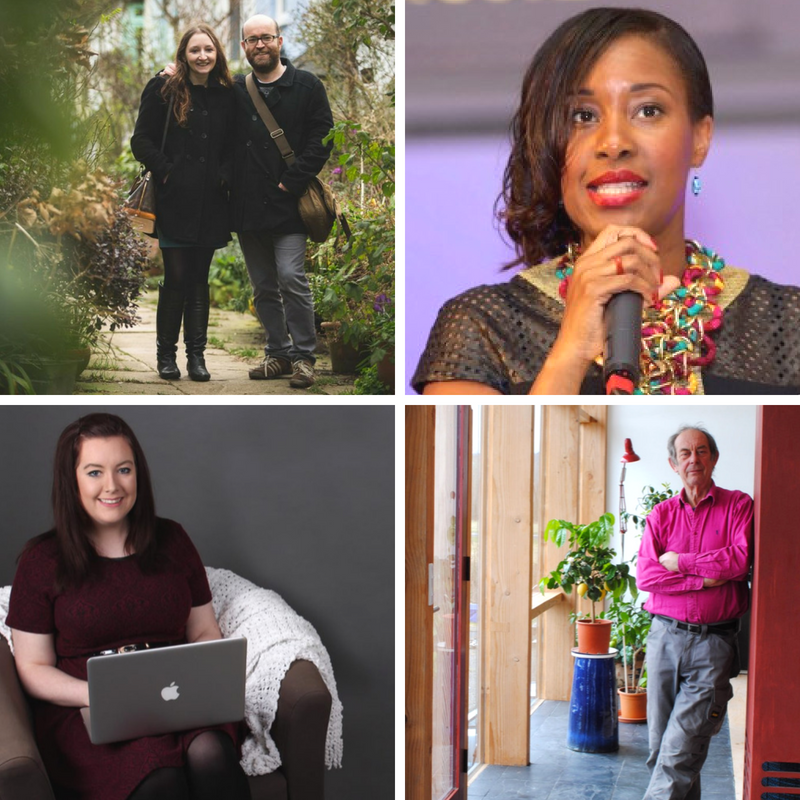 In January 2014 they crowdfunded a community newspaper for their local area called The Peckham Peculiar, which covers regular news and features on the people who live and work in SE15. In 2016 they launched a second title, The Dulwich Diverter, and launch their third paper, The Lewisham Ledger, in June this year. Mark also runs McGinlay Rushmer Public Relations, working with south-east London businesses and authors to help them promote themselves. Sonia Meggie is the Founder of Inspirational YOU; a London based social enterprise to connect, inspire and empower young people, women and ethnic minorities who want to make professional changes to their lives. Sonia featured in the Powerlist 2013, won the ‘Positive Role Model Award’ at the National Diversity Awards and an Inspirational Award at the BAFTA’s Back to Black Awards. In 2015 she was selected as one of the top African and Caribbean women of influence in the UK. Sonia is Diversity Advisor for Business in the Community. Sian is an ethical business mentor and the founder of Ethical Hour. Passionate about inspiring and empowering change makers and ethical business owners to create positive impact, reach their goals and create businesses that do good. Sian has worked all around the world on a wide range of social impact projects. From supporting women to start their own businesses through micro-finance funding in Sierra Leone to engaging underprivileged teenagers in public art to help them change their communities for the better in inner-city Coventry and Birmingham. Sian knows what it takes to start and run a successful business with social purpose. Through her travels around the world she’s witnessed first hand the positive social and environmental impact that good businesses can make, and now dedicates her time to empowering people to start and run the ethical business of their dreams! It was a commitment to the place of design in a sustainable future that led David to create his first steam bent ash chairs. A wish to make them affordable resulted in the development of small batch production. A fascination with process made repetition immediately attractive ‘I never intended to make them myself, but I couldn’t find a manufacturer to take them on. Which is how I found myself in the furniture making fraternity in the late 70s early 80s, the hay days of the craft revival movement’ says David. Committed to sustainability, David has a deep conviction that furniture should be comfortable, strong, utilises low energy and limit material wastage. David Colwell is a member of Blue Patch and works in Wales. Ruth is currently Executive Chair of the SFEDI Group of Companies, all of which promote and support enterprise and entrepreneurial skills development throughout the UK. As a business owner herself for over 20 years, with successful ventures including a bistro, conference centre, software company and training consultancy, Ruth knows more than most how it feels to start up and run an enterprise. Ruth has always had a strong determination to make a positive impact on the lives of others. Prior to setting up in business on her own she chose to dedicate her working life to working within disadvantaged communities, including training young people (as part of the Youth Training Scheme in the 1980s) in locally deprived areas and working with pre-release prisoners. Check out Ruth getting her MBE in 2015. Louise has led strategic and commercial development in the creative industries and cultural sector for more than 20 years, ranging from Museums (Natural History Museum, London) and exhibitions (Canterbury Museum, NZ) through to festivals (Cheltenham Festivals; Belfast Literary Festival; City Dance, NI) and the performing arts (Crescent Arts Centre, Belfast Community Theatre). Louise is focused on helping businesses develop a cohesive strategic approach, developing a clear organisational purpose and knowing their audience priorities. Find Louise on Take the Current. Georgina Wilson-Powell has been a magazine editor for 14 years, she has a slight obsession with setting up magazines and brands and flying by the seat of her spotted (now organic bamboo) pants. She has worked with BBC Good Food, Lonely Planet Traveller, BBC Travel and Time Out in addition to setting up a music and street art magazine back when street art was called graffiti. After coming to the realisation that we all need to start making a dent in the planet’s problems, rather than retrain as something useful like a mushroom farmer or shoreline manager, Georgina decided to use her experience and set up pebble as a platform to support, share and promote positive stories from people who are doing far more cool and worthy things than writing for a living. It took her longer to decide on a name than it did to upend her life and launch an independent magazine. Jen Gale and her family spent a year buying nothing new – a year that changed not only how she now shops, but also how she sees her place in the world. That was the start of Jen’s sustainable living journey, and she has gone on to write for The Guardian and Green Parent Magazine, give a TEDx talk, and appear on national TV and radio. Jen is passionate about empowering us all to make the small changes that really do make a big difference through her podcast, blog and online community, check out My Make Do and Mend life.